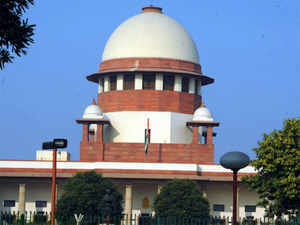 NEW DELHI: The Centre on Tuesday in the Supreme Court justified certification of Finance Bill, 2017 as a money bill saying it has provisions which deals with salaries and allowance to be paid to members of tribunals from the consolidated funds of India. The top court reserved its verdict on a batch of pleas challenging the constitutional validity of Finance Act, 2017 on the ground that it was passed by the Parliament as a money bill. The Centre contended that certification of Finance Act as money bill was done by speaker of Lok Sabha and court cannot judicially review the decision. A five-judge Constitution bench headed by Chief Justice Ranjan Gogoi said, “Hearing concluded. Order reserved”. At the outset, Attorney General K K Venugopal, appearing for the Centre said that certification granted by the speaker cannot be challenged in the court of law. The Attorney General justified before the bench also comprising Justices N V Ramana, D Y Chandrachud, Deepak Gupta and Sanjiv Khanna the certification of Finance Act as a money bill saying it deals with payment and receipt made from the consolidated funds of India. “It is the whole part which has been certified as a money bill and not in parts. Therefore no part can be severed to say that this cannot be called as a money bill,” Venugopal said. He referred to provision for money spent on tribunals from the consolidated funds and said salaries and allowances of tribunal members would come under incidental matters referred in the Article 110 (1)(G) of the Constitution. Article 110 of the Constitution deals with provisions as when can a Bill shall be deemed to be a Money Bill. Venugopal relied on Aadhaar verdict of last year and said that the apex court has held that the main object of Aadhaar Act was to extend benefits to marginalised section of society in the form of aid, grant or subsidy from the consolidated fund. Senior advocate Arvind Datar, who led the arguments for the petitioners, argued that a bill which says that salaries shall be paid to the members of tribunal does not in itself make it a money bill. He sought making the tribunals independent saying their core judicial duty cannot be taken away or at least they can be brought under the control of law ministry or one nodal agency as held in 1997 and 2010 verdicts of the apex court. The top court was hearing a batch of petitions challenging the Constitutional validity of the Finance Bill of 2017. On March 28, the Centre has told the apex court that it cannot question the speaker’s decision of certifying a bill as a Money Bill and it is a well settled law. Venugopal said contention that certification of Finance Bill of 2017 as Money Bill was not right cannot be a ground for a challenge to validity of the Bill. He had said that apex court has repeatedly held in its verdicts that certification cannot be questioned and courts cannot inquire into the decision taken by Parliament. Venugopal had said Finance Bill comprises of amendments to several Acts and statutes and the petitioners have challenged only one particular aspect saying it cannot be termed as Money Bill. The apex court had earlier sought the Centre’s view on bringing all the tribunals under one central umbrella body for ensuring “efficient functioning” and “streamlining the working” of quasi-judicial bodies. The top court had said it would not like to be bogged down with what is right or wrong and all it wants was that “the tribunals work efficiently and independently”. The court had said it is tentatively of the view that directions given by the apex court in its two verdicts of 1997 and 2010 for bringing all the tribunals of the country under one nodal agency should have been “implemented long back”. A cap on household energy bills is set to be included in the Conservative manifesto, a cabinet minister has said. According to the Sunday Times the plans could cut gas and electricity costs by £100 a year for 17 million families. Work and Pensions Secretary Damian Green told ITV people felt “taken advantage of” by energy firms. Labour said the plan should be taken with “a pinch of salt”, while price comparison company uSwitch said it would “do more harm than good”. The wider energy industry has reacted with scepticism to the plan, saying a price cap could have a negative impact on competition and lead to higher prices. The manifesto pledge would outline plans to cap bills for seven out of 10 households paying standard variable tariffs, which are often criticised as bad deals for consumers by industry watchdogs. 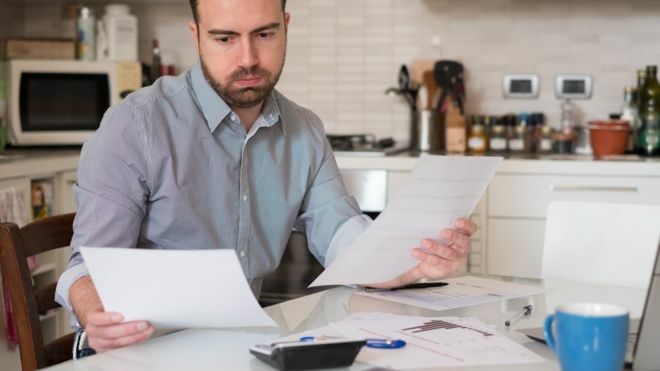 It follows the introduction of a cap for households using pre-payment meters early this month, after the Competition and Markets Authority released a report saying customers were overpaying by £1.4bn. Mr Green told the Peston on Sunday programme: “There will be a lot about energy policy in the manifesto [and] obviously there will be more detail. Mr Green said his party’s promise on energy was not the same as Labour’s 2015 election pledge to freeze gas and electricity bills for every home and business in the UK for 20 months. “We would have [energy regulator] Ofgem setting the limits,” he said. “So it would be a cap, it would be more flexible, it would be able to reflect market conditions [and] the market would still have an influence. After a two-year-long investigation, the Competition and Markets Authority published its final report last June into the energy sector. It suggested a number of remedies to improve things, but steered clear of outright price caps – with the exception of the pre-paid energy meter market. The government, regulators and especially smaller energy firms are all agreed that regular switching is the key to driving up competition and driving down prices. And although a record 7.7 million people changed their energy suppliers last year, 56% of households still have never switched. After the Conservatives suggested some sort of price caps, some aggregators such as uSwitch said that caps would do more harm than good because it would lead to even fewer people switching energy suppliers, because they may feel changing to be no longer necessary. The law of unintended consequences, would prevail again. Labour has not come out against the proposals but told voters energy bills had “soared” under a Conservative government. Mr Gwynne, the national elections and campaign coordinator in the shadow cabinet, said: “Time and again [the Tories] promised action, but when it comes to it, they broke those promises. “At the last election when Labour promised action, the Tories opposed it, putting themselves on the side of protecting the big energy companies’ profits rather than the interests of working people. Around 800,000 of the poorest pensioners and 1.5 million low-income families with children in Great Britain are on their energy supplier’s standard variable tariff. These households are paying an average of £141 more a year for a dual fuel gas and electricity bill than if they were on the cheapest deal available from one of the nine largest suppliers. Around 4.7 million households in England haven’t switched their energy supplier for 10 years, with older people and people with low incomes more likely than younger and better-off households to have never switched supplier at all. The Competition and Market Authority has estimated that all households on the standard variable tariff together pay an average of £1.4bn a year more than if the energy market was fully competitive. Co-leader of the Green Party Jonathan Bartley said the policy did not go far enough and he wanted more local choices of supplier for consumers. “We don’t just want the big six energy companies, we want 6,000,” he said. “We want a community renewable energy revolution. Conversely, industry leaders have criticised the Conservatives’ plan for going too far. Richard Neudegg, head of regulation at uSwitch.com, said previous market interventions had led to lower switching rates and higher prices for consumers. “A price cap would be the death knell for competition,” he said. “It would remove any incentive for energy companies to drive down prices and fight to keep their customers, entrenching the position of the incumbent big six. Iain Conn, the chief executive of British Gas parent company Centrica, agreed that a highly competitive market was the best outcome for consumers. He said: “Price regulation will result in reduced competition and choice, stifle innovation and potentially impact customer service. Spokesmen from EDF, Npower and E.ON said they would not comment until they saw the detail of the policy in the manifesto, but the latter did give its support to a “competitive market”. The five-year-old marketing tech company has named Bill Magnuson as CEO effective on January 1, 2017, with founding CEO Mark Ghermezian moving into a new role as executive chairman. As part of the reshuffling at the Series C startup, third cofounder Jon Hyman will assume the role of CTO from Magnuson after serving as Appboy’s CIO. “When you look at where we are today, we just felt we are in a position of strength right now and to be responsible with where we are growing, this was the right move for the company moving forward,” Ghermezian says. 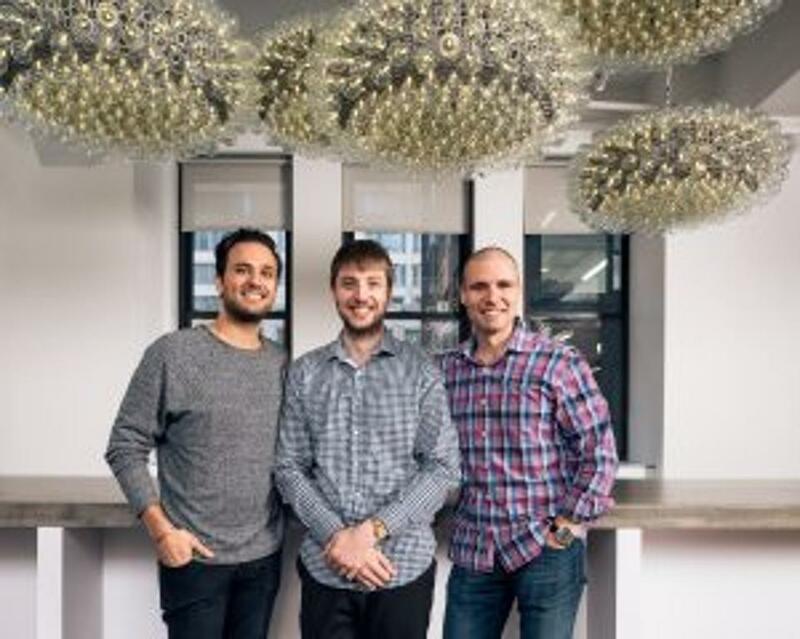 Appboy has raised $45.6 million in funding since the three launched it after Ghermezian got in touch with his two cofounders upon their winning the TechCrunch Disrupt Hackathon in New York in 2011. The company has nearly 130 employees now across New York, San Francisco and London, working with customers including Capital One, Domino’s Microsoft and SoundCloud. The company most recently raised a $20 million Series C this spring led by Battery Ventures. Magnuson was already working closely on product strategy at Appboy in his role as CTO, he tells FORBES. With two technical cofounders, Appboy had divided responsibilities between product management, design and consumer-facing product engineering in the CTO role, and security, back-end infrastructure and engineering with Hyman as CIO. Appboy bills itself as a leader in mobile customer relationship management targeted especially at marketers. What that means is it builds and manages profiles of users for a company on its app so that when the company wants to target a certain group of its user base with a push notification or a deal, it can have a good sense of to whom it should send those messages and then actually send them through Appboy’s software. The company more recently added web push notifications and is exploring how to send push notifications or an equivalent on messaging apps such as WhatsApp or Facebook Messenger. A CEO stepping down at a mid-stage startup can happen due to a variety of reasons, but often because a founder (or their investor board members) wants to bring in an industry executive with more operational experience to help a company grow out of its more chaotic startup phase. But Ghermezian says that’s not the case with Appboy, and he’ll be working full-time at the company in his role as chairman meeting with customers and working on its corporate culture. “I will still be coming into the office every day, doubling down on those things I care about,” he says. The Brazilian government plans to draft a bill regulating judicial access to digital data in criminal investigations, following the third nationwide court-mandated shutdown of the popular WhatsApp messaging service since December, newspaper O Estado de S. Paulo reported on Wednesday. According to Estado, Justice Minister Alexandre de Moraes said the bill should provide a framework for cooperation with authorities without depriving about 100 million users of the popular Facebook Inc messaging service. Moraes announced the plan after meeting with Rodrigo Maia, the speaker of the lower house, to discuss the issue on Tuesday, Estado said. Also at the meeting, Maia vowed to speed up the discussion of and voting on bills aimed at protecting digital data or limiting potential shutdowns of chat apps, Estado reported. The ministry’s and lower house’s media offices did not immediately answer calls seeking confirmation of the report. On Tuesday, a Rio de Janeiro state-based judge ordered Brazil’s five wireless carriers to block WhatsAppas it failed to turn over data requested by authorities in a criminal probe. The Federal Supreme Court scrapped the order hours later. 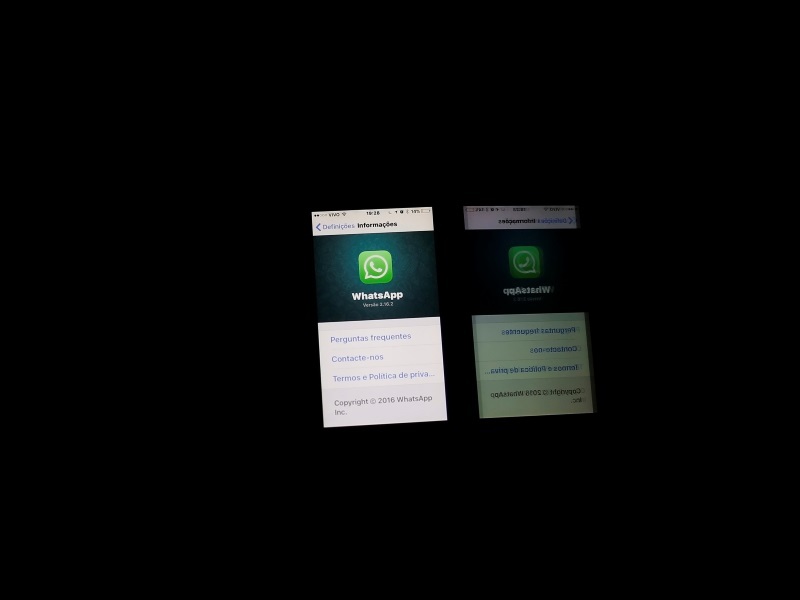 The order had left about 100 million Brazilian users without access to WhatsApp for hours on Tuesday afternoon. According to the office of Brazil’s attorney general, judges who suspend WhatsApp are incorrectly interpreting a 2014 law meant to update the legal framework for the Internet. Still, judges frustrated with the modern limits of wiretaps in drug-trafficking probes have shut down the service and even briefly jailed a senior Facebook executive in March.